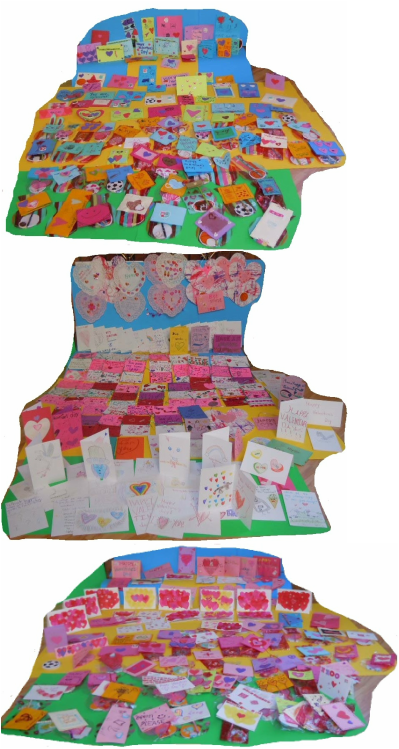 For the hospitals, the Valentines were given to the Child Life department. As you can well imagine, a childhood spent in a hospital is a life without a lot of joy. The Child Life professionals work to help give the children as much of a "childhood" as they can. For Project Hope School, the Valentines were give to the Program Assistant who works to give the children struggling with homelessness a little more traditional fun along with their studies. For many of these kids, if it weren't for Project Hope School, they would completely fall out the system and just would not receive any education. By continuing their education, the kids can rejoin the mainstream educational environment when they are able.